I new the guys on the forums would come up trumps! I didn't realise how many different types were operated in the years between the wars. I think you are right Dave. The "LE" code means its a 242 Sdn machine. I think it looks darker as its in shadow. 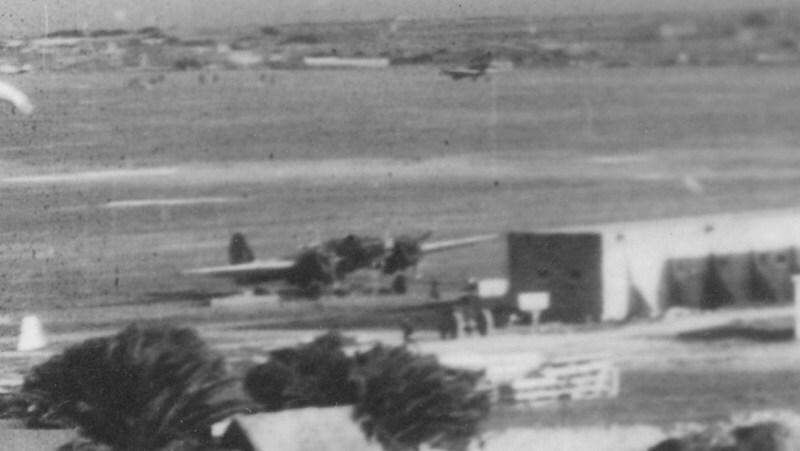 I have scanned in the photo again and it looks like a couple of Beaufighters and at least a whole Squadron of Hurricanes waiting to scramble in the background. Yeah, I picked up upon the Beaufighters - and the camouflaged Hurricane. Nice picture of the Spitfire Vc...It certainly looks like the standard colour scheme for the period, and of course, the undersides are most certainly blathered in oil! 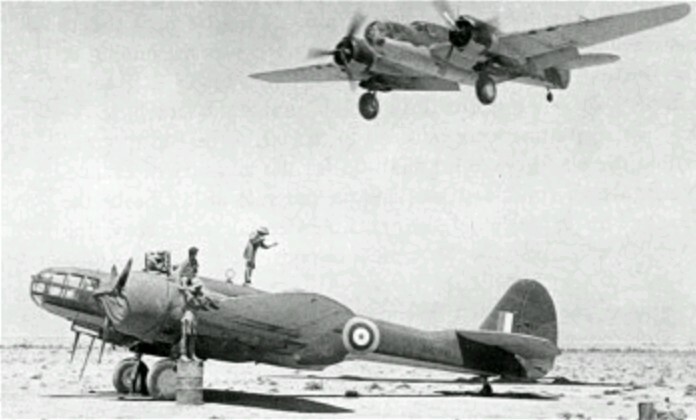 I was aware that 227 Squadron operated Beaufighters in 1942 and they had a local mod where they cut down the rear canopy and mounted a Vickers K gun. I actually built one and posted it to Ready for Inspection a while ago. Like the two old steamrollers! I thought this was a Hudson when I first looked but obviously it hasn't got the twin tailplanes. I also cropped in the distance where I am sure these are Hurricanes. I've counted at least 12 although I can't make out if they are parked or reved up and ready to go. due to the threat of lone 109's or 88's doing strafing runs. I think these were taken using pretty low res film so its as sharp as I can get. 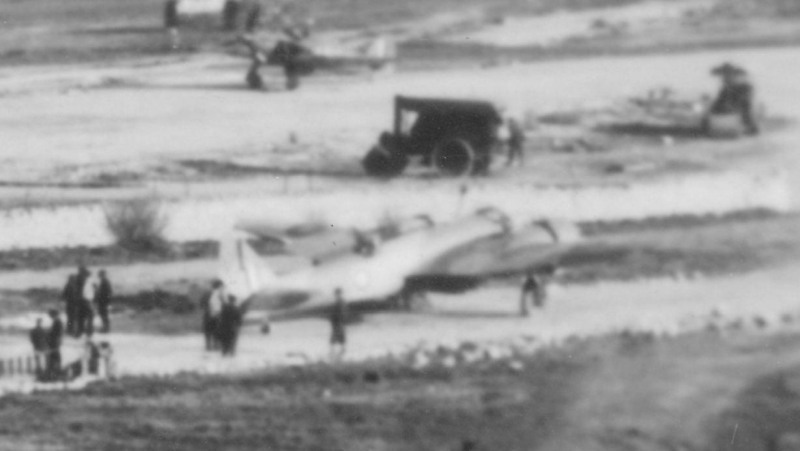 The whole original photo is only 3"x 2"
Could it be a Blenhiem? Absence of cooling intakes on top of the cowling and what appears to be an underfuselage gun pack below the wing? The other shot could be a Marlyand. Great pictures Phil, a very rare treat, many thanks for sharing! Looks like a Blenheim to me. Is that other plane the Maryland that Warburton used for PR????!! I also think it's a Blenhiem and a Baltimore in the other pic. Is that Martin Maryland? Warburton did PR over Taranto in that and brought the ships aerial home! looks a bit like this, dont you reckon? I think you are right then Gents. I bow to your knowledge about the Blenheim so Blenheim it is. The Maryland makes sense too. In the book "Hurricanes over Malta" there is a passage about Warburton who used to "borrow" aircraft without really asking permission much to the annoyance of many! He often used the Maryland and there are several stories of him being shot up by his own side. his rear gunner (who was a very good shot) to let him have it which he did. The Hurricane pilot managed to get his badly damaged plane back on the deck, and Warby later sent him a get well card in Hospital! He also used a PR Blue Hurricane I for recon stuff from which they had removed all the armour and guns etc and installed cameras. That would be a pretty interesting aircraft. Blenheim and Maryland it is then! I knew that it was not a Beaufighter, but I could not for the life of me figure out exactly what is was - good spot Dave! I was doing one of those jobs today that I had been meaning to do for a long time and that is to scan in a lot of old photographs. Some of you may be aware of my father's service in the Royal Air Force from posts on my Malta 109 build. 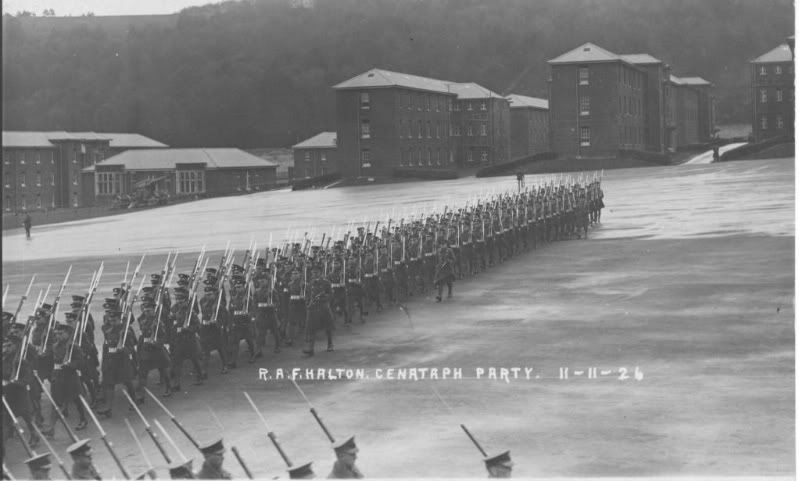 The apprentice college was based at RAF Halton where trainees were taught engineering from the very basics so they could effectively build an aircraft from scratch. The hangars are still operational today and house (on the left) RAF Halton Aero Club (of which I'm a member) and RAF Halton Microlight club. The hangar on the right houses the RAF Gliding and Soaring Association. 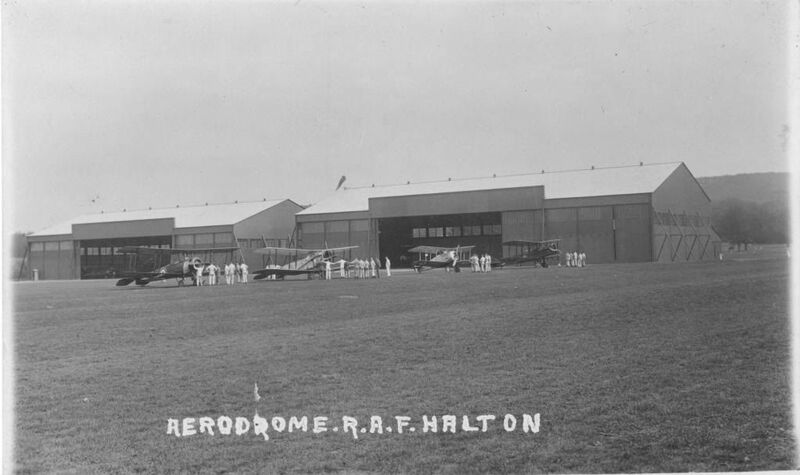 We have a Facebook page for the flying club - would you allow me to post the pictures of Halton - with fullaccreditaion of course? The other pics are superb also - a period I'm really interested in as my grandfather did his flying training with the Fleet Air Arm in the mid thirties. No problems at all with posting the pictures, you are more than welcome. to the apprentices. The "dodgy" writing on the front was done by the photographer. I was at Halton a few years ago for an exhibition and it was interesting to see the old accomodation blocks still there. You will probably recognise some of the buildings? The photo of the "Bugle" is actually an early Boulton & Paul design (they of the Defiant) There is a Wickipedia entry but no photo. Apparently they only built seven. Perhaps I have a rare picture of it?? ?